Nurture, support and mentor everyone as they strive for excellence. Luttons Community Primary School is a small, rural school set in the lovely Yorkshire Wolds village of West Lutton. Our catchment area is large, serving the villages of Duggleby, Kirby Grindalythe, East and West Luttons and Helerthorpe, because of this many children are eligible for free transport. Our school focuses on providing a stimulating learning environment, which develops the children into caring and independent individuals. We have a large site and spacious buildings. Our outdoor spaces include a school field, adventure playground, playground and several themed outdoor areas. Whilst indoors our facilities include two age appropriately resourced class rooms, a sports hall, a separate dining room and a recently refurbished library. 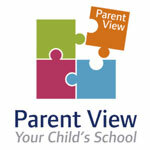 We have two mixed age classes; Foundation and Key Stage 1, in Class 1 and Key Stage 2, in Class 2. The children are taught by 2 full-time teachers and supported by 2 teaching assistants. We are proud of our comprehensive creative and personalised curriculum, which is enriched by a wide range of opportunities, including participation in additional sports, music and science events. If you require further information on admission to Luttons CP School, please contact Mrs Harber or Mrs Waller in the school office on 01944 738232.